Abstract: This seminar is an overview of recent advances in Three-dimensional (3D) sensing, imaging and display based on integral imaging. There are numerous applications of this technology including, computer-aided design, medical 3D imaging, 3D visualization, 3D identification and inspection, 3D television, 3D video, 3D multimedia, interactive communication, education, entertainment, and commerce. Biography: Bahram Javidi is Board of Trustees Distinguished Professor at the University of Connecticut which is the highest rank and honor bestowed on a faculty member based on research, teaching, and service. Dr. Javidi is Fellow of seven National and International professional scientific societies. He is Fellow of the Institute of Electrical and Electronics Engineers (IEEE), Fellow of the American Institute for Medical and Biological Engineering (AIMBE), Fellow of the Optical Society of America (OSA), Fellow of the International Society for Optical Engineering (SPIE), Fellow of the Institute of Physics (IoP), Fellow of The Society for Imaging Science and Technology (IS&T), and Fellow of The Institution of Electrical Engineers (IEE). He received the 2008 IEEE Donald G. Fink prize paper award which is the paper award among all (over 130) IEEE Transactions, Journals, and Magazines. 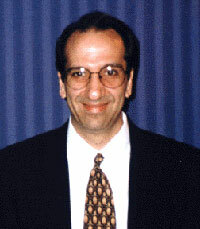 In 2005, Dr. Javidi received the Dennis Gabor Award in Diffractive Wave Technologies by the International Society for Optical Engineering (SPIE). He was the recipient of the IEEE Lasers and Electro-optics Society Distinguished Lecturer Award twice in 2003-2004 and 2004-2005. He was awarded the IEEE Best Journal Paper Award from IEEE Transactions on Vehicular Technology twice in 2002 and 2005. In 1990, the National Science Foundation named Prof. Javidi a Presidential Young Investigator. Early in his career, he received The Engineering Foundation and the Institute of Electrical and Electronics Engineers (IEEE) Faculty Initiation Award. He was a David Packard Fellowship finalist at the completion of his PhD program. He has been awarded the University of Connecticut Board of Trustees Distinguished Professor Award, The School of Engineering Distinguished Professor Award, the University of Connecticut Alumni Association Excellence in Research Award, The Chancellor's Research Excellence Award, and the first Electrical and Computer Engineering Department Outstanding Research Award.